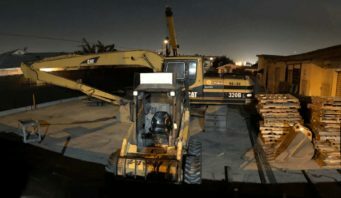 The Boring Company’s prototype garage-elevator is being built west of SpaceX’s Hawthorne facility. The location of the futuristic garage is no accident, as the startup plans to have cars enter the tunnel from the SpaceX campus, move through the tunnel and on to the garage-elevator, and then travel back to SpaceX as part of the concept’s tests. Adopting such a process allows The Boring Co. to avoid creating additional traffic on the street. 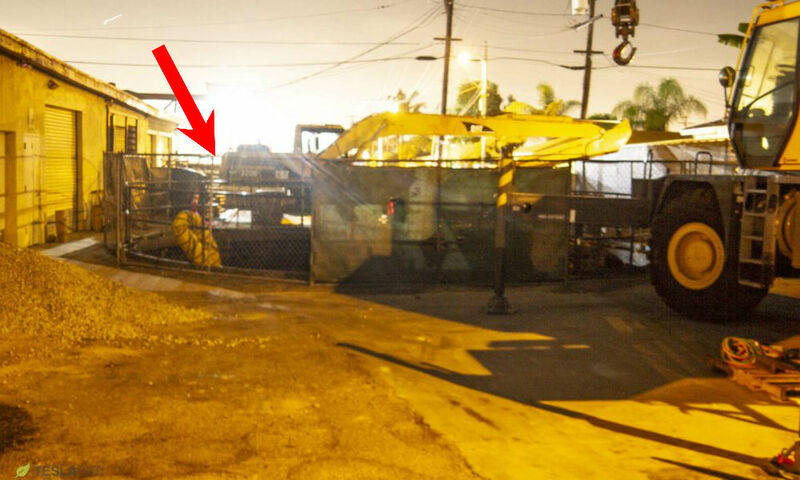 Photos captured by Teslarati photographers reveal that The Boring Company has broken ground on the site of its recently-announced garage-elevator. While the startup has not officially announced that the construction corresponds to the planned elevator concept, the site’s location on 120th St. near Prairie Avenue matches the address of the project that the company confirmed to The Mercury Times last month. Furthermore, the pit’s sheer scale fits well with the company’s plans to dig a hole to extract segments of its tunnel boring machine (TBM). Looking at the images of the construction in progress, it appears that the hole being excavated is around 30 feet or more in diameter. This is quite substantial, considering that graphics provided by the tunneling startup show the garage-elevator transporting cars one at a time. As noted by AutomobileElevator, a company in the business of providing car elevators, lifts that are designed for large vehicles like full-sized SUVs usually have dimensions of 9.3 x 20 x 7 feet – significantly smaller than the pit in the Boring Company’s ongoing excavation. 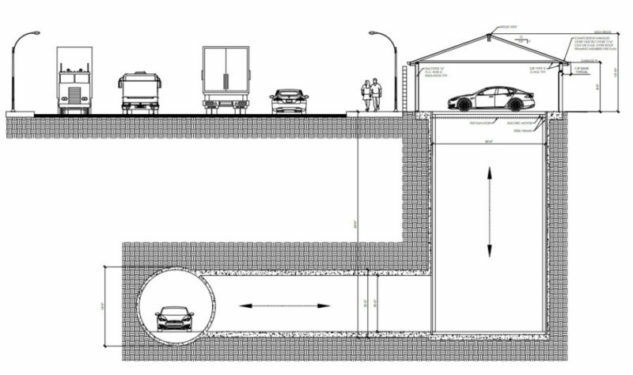 With this in mind, it appears that the tunneling startup’s garage-elevator, once complete, would have enough space to accommodate large mainstream vehicles like full-sized SUVs and trucks. In a comment about the garage-elevator, Boring Company representative Jane Labanowski noted that the prototype concept would be an essential part of the tunneling startup’s vision for the future. 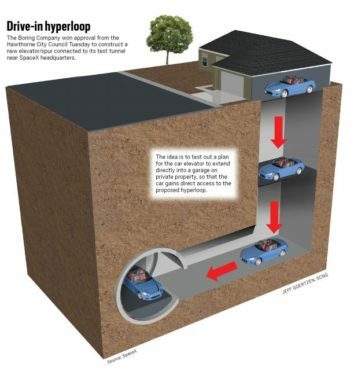 The garage-elevator, if any, would serve as convenient entry point for the company’s high-speed tunnel system, particularly for those in residential areas. “It’s an important part of the longer-term vision the company is trying to build,” she said. 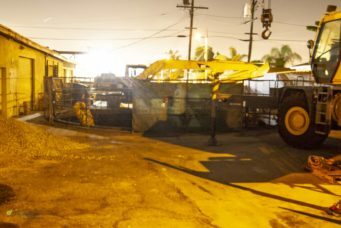 The Boring Company might be a newcomer in the transportation industry that is more well-known for its quirky merchandise such as the Boring Company Not-a-Flamethrower, but the tunneling startup is already starting to gain contracts for high-profile projects. 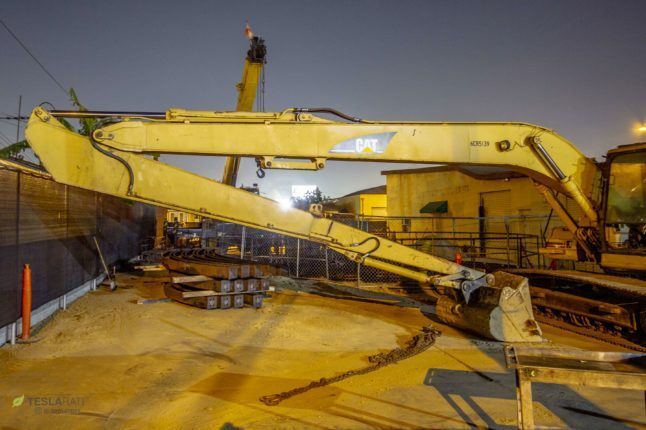 Earlier this year, for example, the Boring Company won a contract for the construction of the downtown Chicago-O’Hare high-speed transport line, beating larger, more experienced conglomerates which were also bidding on the project. The Chicago project would feature the Loop system, which features Tesla-made fully-electric pods capable of transporting up to 16 people at a time at speed of up to 150 mph.